Football has been part of British life for several hundred years and the earliest recorded football boots were listed by the famous and notorious King Henry VIII (1509-1547) within the Great Wardrobe of 1526. Since then the British public have witnessed a gradual yet significant evolution of the football boot up to what we see today. 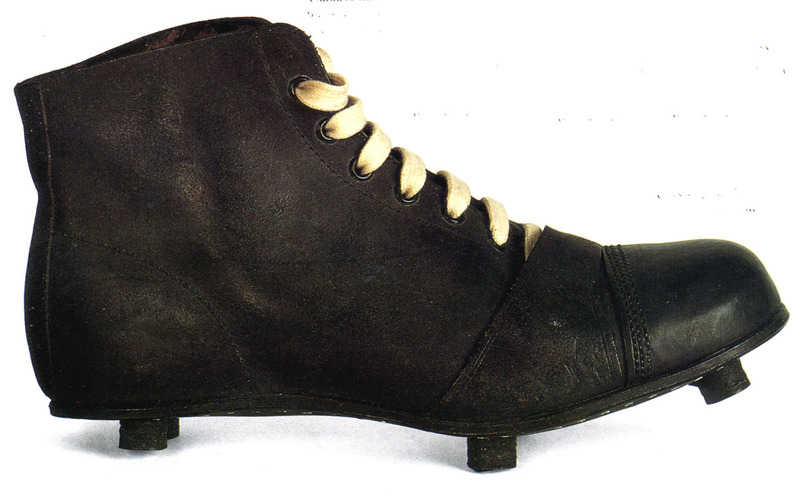 Football boot styles altered dramatically after the end of the second world war, material became cheaper after rations ended and as air travel became cheaper more international fixtures were played. The South American countries like Brazil and Argentina were thrust onto the world stage donning lighter, more flexible football boots, which inspired the the Mizuno Morelia, in which they showed-off their dazzling ball skills and technical ability. In the 50s sports firm Adidas introduced the first football boots with interchangeable screw-in studs – famously giving the German national football team a competitive edge in a rain-sodden 1954 World Cup! Local rivals Puma have often disputed adidas’ claim to making the first screw-in studs, claiming their Atom football boots pre-date adidas 1954 model – the debate continues to this day – over 50 years later! Improvements in design focused on making the lightest, most versatile, most comfortable and most flexible football boot on the market. 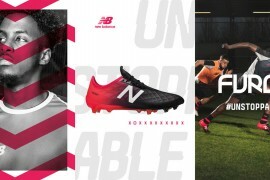 By the 1990’s Football boots were no longer seen as a piece of protective footwear, but a performance-boosting piece of kit, with huge marketing potential. In 1994 adidas unleashed the original Predator, with friction-enhancing rubber vamps on the forefoot to boost control over the ball, and allegedly enhancing accuracy when striking. making football boots. 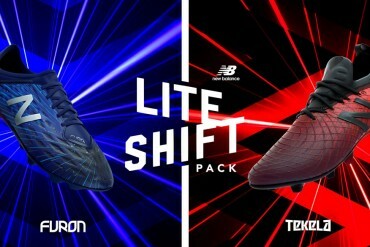 Nike Ĺ› a relative latecomer Ĺ› introduced the innovative Nike Air cushioning technology that provided footballers with welcome enhanced cushioning. 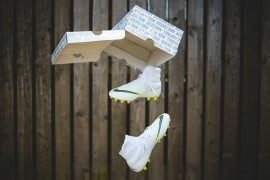 Nike’s ultimate aim however was to offer a new type of boot made of synthetic leathers that did not stretch, did not lose its shape, repelled water, was lighter than the competition and gave a better touch on the now-synthetic footballs. 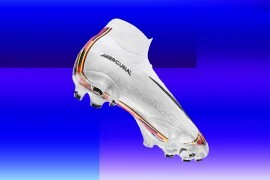 The result was the original Mercurial Vapor – designed for Brazil’s Ronaldo, the Mercurial Vapor weighed less than any other football boots on the market at the time and epitomised Nike’s years of research and development. This release sparked a war between every football-boot-producing company on the face of the earth – everyone wanted to cash-in on Nike’s claim that lightweight football boots enhanced a player’s abilities. 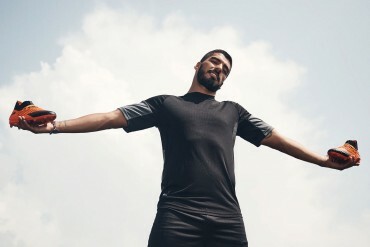 Currently, adidas hold the crown of the lightest football boots on the market, with their F50 adiZero Prime tipping the scales are a mere 145g – with Puma’s v1.10 SL marginally behind at 155g. 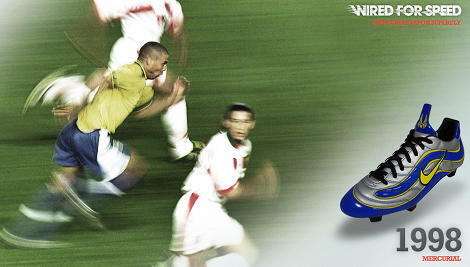 But what does the future hold for football boots? Our biggest prediction for the for the future is integration with sensor technology. 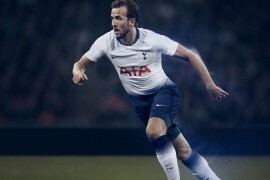 adidas and Nike have made huge strides (pun intended) in the running shoe market with technologies like miCoach and Nike+, and Under Armour’s latest E39 baselayer allows players and coaches to get instant feedback on the physically condition and statistics of their players. 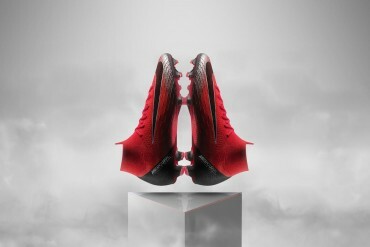 Could Nike Football+ be a forerunner for something even bigger? 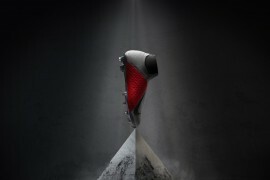 We think in the next 12 months we’ll see the biggest brands in world football integrate this technology into their football boots, bringing high-end coaching techniques and elite-level physical conditioning to anyone that buys their football boots. 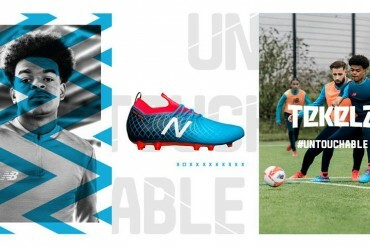 With the internet currently bringing so many like-minded individuals together, hooking up your Nike+ or miCoach unit to your computer could see you competing for fitness with friends and team-mates, finding new players for your amateur side by checking their fitness and position and the fittest, most promising players even getting scouted by academies – all thanks to their football boots! 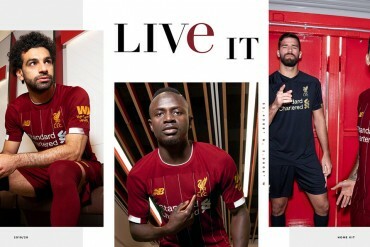 Other trends we could see continuing are ones that fans will be familiar with – lighter and more powerful football boots and more outlandish designs and styles! 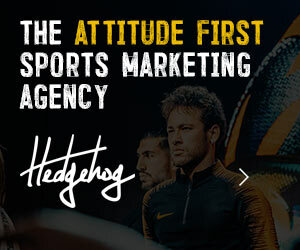 The market positions of the big three football boot makers and sellers Ĺ› Puma, Nike and Adidas remain strong and we expect to see a technological revolution in the next ten years as customization reaches new heights. 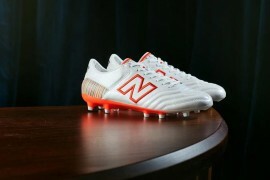 Next articleNEW FOOTBALL BOOTS – WHY ARE WE WAITING? that is quite a far sighted article. and yes somehow putting something small to track data like distance covered, max speed, strides done, etc would very much be a natural progression of the football market now. though i would think it would be an attachment versus built into a boot therefore whichever company makes the best one will be able to cannabilise other football boot brands – digital attempts too – as players can put it on any boot they are currently wearing.